"I have arrived, I am home." 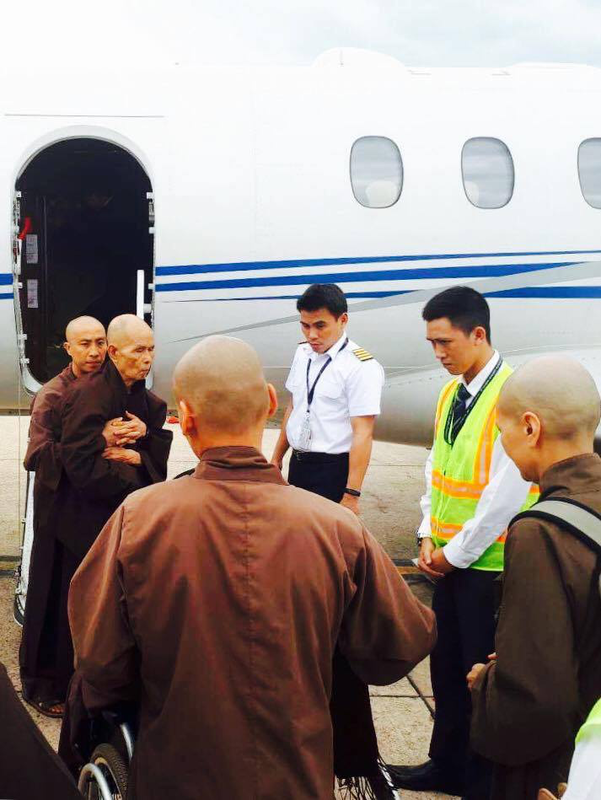 We are very happy to confirm that earlier today, 29th August 2017, at 12h35 local time, our dear Teacher landed safely at Đà Nẵng airport in Vietnam. This is his first visit to Vietnam since 2008. 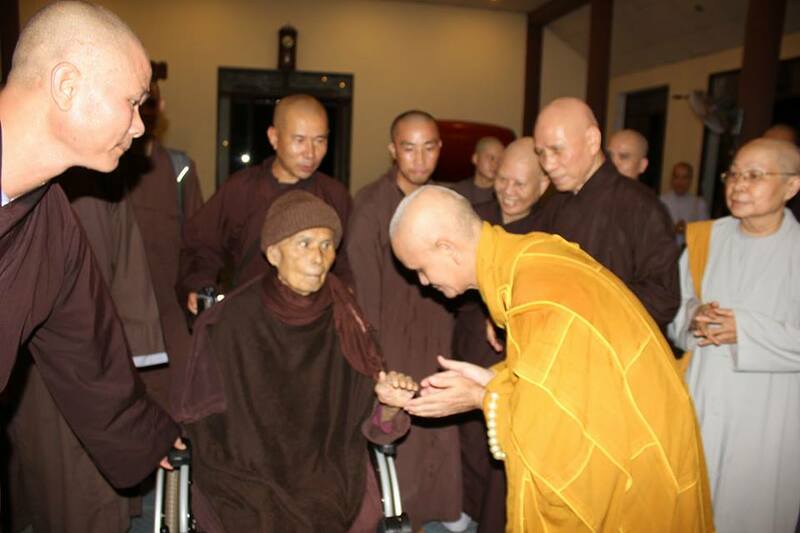 In recent weeks Thay has expressed a strong wish to visit his home country once more, and the sangha is delighted to have been able to realise his wish. 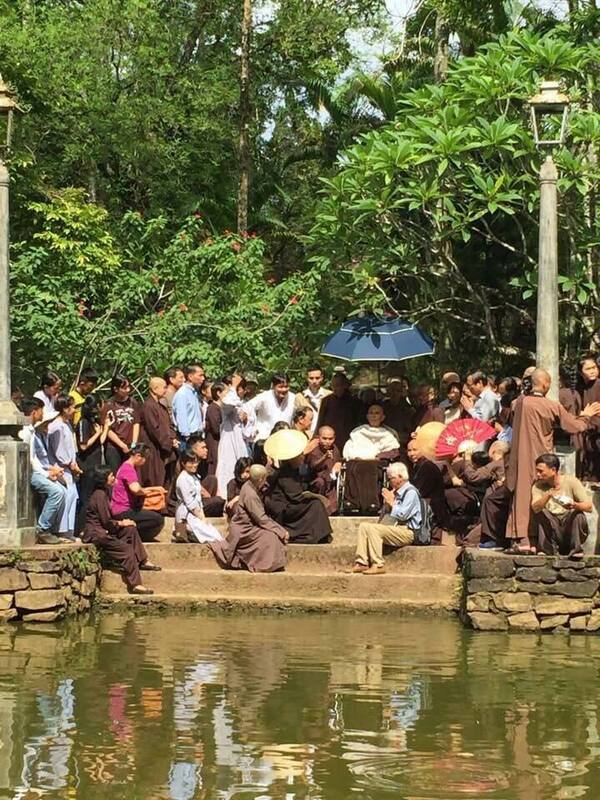 Thay’s trip will include a visit to Plum Village’s Root Temple, Chùa Từ Hiếu, in Huế, where Thay began his monastic training in 1942.